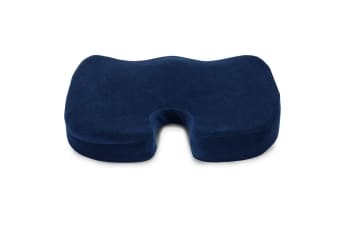 This cushion is designed to assist with the alleviation of stress and pain felt in your lower back, made with heavy density memory foam that delivers the ultimate comfort. The coccyx, also known as the tailbone, is a triangular arrangement of bone that comprises the bottom portion of the spine. Pain felt in this area can be caused by a number of things, including pregnancy, childbirth or trauma to the tailbone caused by an accident. 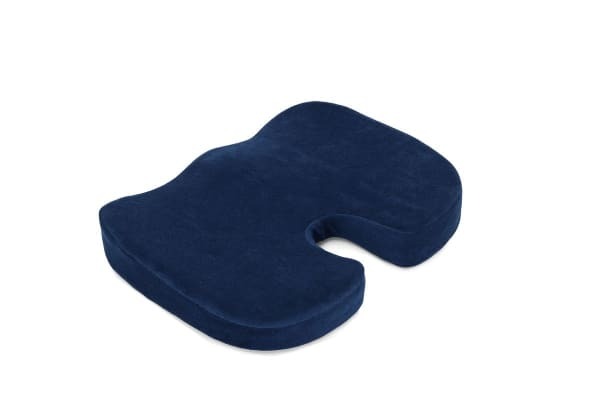 The Ergolux Coccyx Memory Foam Cushion may help to alleviate pain from the tailbone area by providing a soft, comfortable area to rest against while sitting. 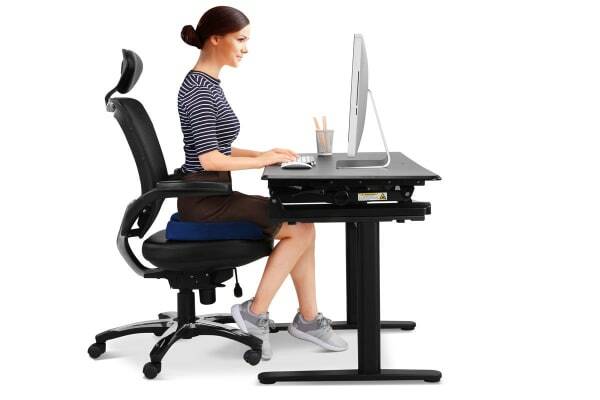 The cushion has a cutout that removes pressure from the coccyx by keeping it suspended, and can be comfortably used with any seating, from office chairs at work to airplane seats. The Ergolux Coccyx Memory Foam Cushion can easily be taken with you wherever you go, and you can simply put it in the washing machine when it’s time to give it a clean.